VINEYARDS AND ORCHARDS ACCESSORIES! MAYBE...THE BEST ACCESSORIES FOR YOUR VINEYARD! Accessories for Vineyards is a manufacturer department owned by Mollificio Effemme srl. 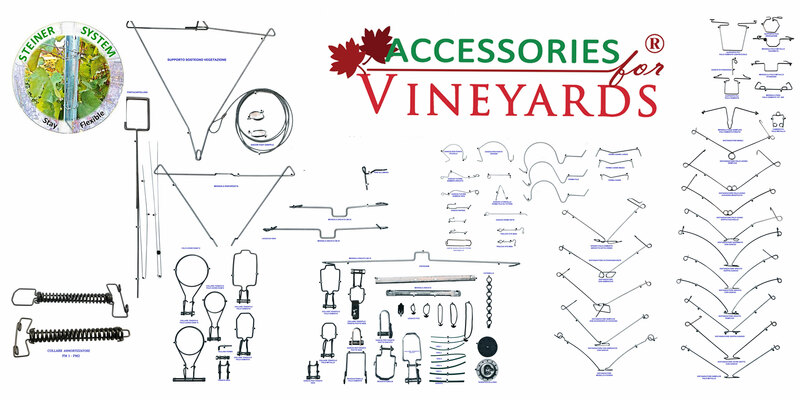 Are available in our line of products any type of vineyards accessories. Thinking about the different ways to set up a Vineyard Planting (Guyot, Spalliera, Casarsa, Spur-pruned cordon), each accessory for vineyard shall be chosen with reference to the same planting. The Winegrower's target and the grape which he is going to pick up follows the choose of the Plants and the use of the accessories as well. Since 15 years, the technology in the Vineyard has been getting more importance than the past in order to obtain the best profits in the fewer time possible. The idiom " Time as money" obliges the Winegrower to update his mentality to be more competitive. Originality and Innovation need the use of the accessories made in Stainless Steel Wire Aisi 302 and galvanized Wire. These kind of materials are flexible and soft but at the same time they include high-strength. The whole range of products used in the vineyard is strictly linked to the features of the Vineyard Planting. Row Length, Number of Wires which needed to be tensioned, Metal Post's height, Concrete Post's height, Wood Post's Height and the distance of the anchors to the Head Posts. Thanks to our canopy management springs, you can easily have an optimun control of the width and height of the canopy by easy and flexible adjustments. Our accessories offers a support to the Vineyards for optimun yeld and quality for new or established vineyards. Using our accessories for Vineyards you can see costs reduction and benefits! 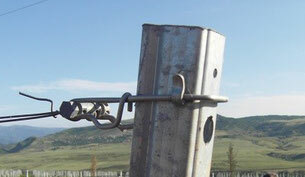 - Wire Support for Concrete Post, Wire Support for Metal Post, Wire Support for Wood Post. - Spring Spacer for double wires (Spacer for Metal Posts, Spacer for Wood Posts, Spacer for Concrete Posts) of any form and dimension. 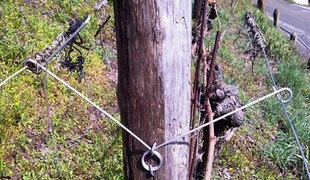 - Hook for Mini and Maxi Stake, Hook for Plant, Tie for Vine Shoots. 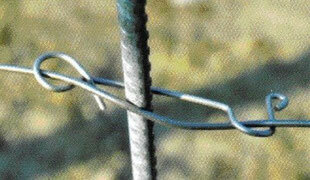 - Wire Tensionar Collar for Wood Posts, Wire Tensioner for Concrete Posts, Wire Tensioner for Metal Posts. - Wire Stretcher for double wire and for Anchors, U-bolts threaded.